Let's be frank, tradesmen aren't known for promoting their skills and services online. From uninspiring websites to lack of social media engagement and beyond, there's so much you can do - all quicker and easier than you might think, too! And when you think about it, this is madness. With 53% of consumers search for local businesses at least one time per month, in this day-and-age, just having a website doesn't cut it anymore. You need constant web updates, recent work, social engagement, keyword planning...I could go on. This all takes time, and we all know time is money. That being said, there are a few things you can do to get a good start in making a difference to your online presence. Now, as long as your website is well presented, informative and showcases your best work, you're onto a winner right away. If not, you should look to get your website updated by a web agency. As mentioned above, simply throwing up any old thing on the web and assuming leads are going to come flooding in is a little naive. However, a well-designed website showing your company's branding, getting your USP across and some reviews from previous clients will go along way in boosting trust with the user. On top of that adding some well-placed calls to actions will help the user get in touch and potentially lead to your next job! Content is king and with Google getting smarter and smarter, churning out rubbish stuffed with keywords and written for search bots, these days is going to get you penalised, not rewarded. "I barely have time check Facebook after a hard days work, let along churn out new content each week!" Sound familiar? It's hard working in your business AND working towards marketing your business. However, a nice little tip I've found is this: once a week, pick a job you've worked on that you've enjoyed and spend 10/15 minutes writing a little something about it. Then upload it to your, Facebook, Twitter, Checkatrade etc. Get in the habit of spending 30-45 minutes, once a week doing this, and before you know it you'll have lots of content for your users to find and enjoy. If you're not going to post updates, don't create a page. Leaving a page empty will do more harm than good! All in all, the one main thing to remember is that social media is social! If someone messages you, it's not nice to not reply, or reply 3 weeks later. Make sure you have the Facebook Messenger app or Facebook Pages app installed on your phone. This way, you'll get notifications faster and can respond to them whilst you're out and about. And remember, you're talking to people, not bots so make sure that comes across in your replies and posts! 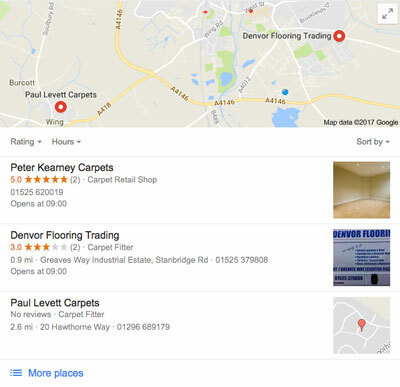 We've all seen a Google My Business listing in search results before, you probably just don't know it. Setting up or claiming a Google My Business listing is easy and it drastically helps with local search. You'll need to provide your address and Google will send you a postcard with a PIN number on to verify. Again, make sure to keep the consistency of information and branding even across your Google My Business page. Local listing (or citations) are business websites on websites like yell.com. These sites, similar to Checkatrade in purpose, will help users find you and your business online. 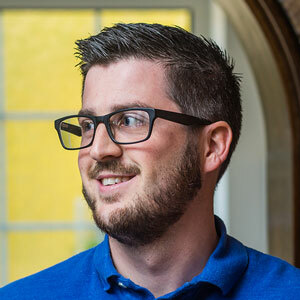 Making sure business information across all local citation lists is important as inconsistencies could lead to users picking up old or incorrect information. Bright Local have CitationBurst, a service that helps you check consistency across already found citations and a service to manually upload new citations. The above points are in no way all that you can do with your online presence, there's tons of stuff. Most require a lot more time, potentially paying someone else to do it for you or investment. However, a good question to ask yourself is: How much do I value my time? Paying someone else to do a better job in half the time may well be more efficient money-wise than trying to do it all yourself. Especially as if doing all these tasks takes time away from completing client jobs! I've worked with a lot of tradesmen in the past, helping them achieve an online presence. If you think you might be interested feel free to contact me or leave a comment below with any questions you may have.